We're fully into winter now and with the weather moving some activities indoors, it's prime time to bring up a model railroading topic: Coffee Table Layouts. set your nachos on during the big game! For the model railroader without an extra room, options for engaging in the hobby are severely limited. Coffee table layouts appear to solve that problem, at least on the surface. What coffee table layouts I have seen are usually the "small" steamer trunk variety that's about 5 feet by 2 wide and another 2 feet deep. They have a small but usually complex pike with a few turnouts and a loop or two for a basic train to navigate. 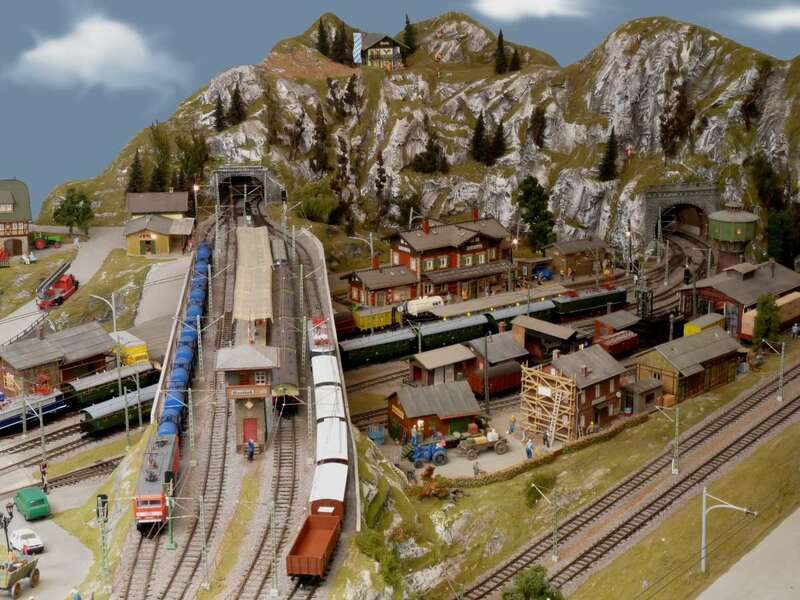 The scale of these model railroads can run as large as one dreams, but usually, for realism and economy, only smaller scales are used. The trusty HO to N scale and even the tiny Z scale are all on the table--ha!--for modelers to build these railroads in the living room. One very tangible shortcoming of these pint-sized pikes is the "glass-bottom boat" feeling a person gets from looking down into them. There is no way to get down on the level of the rails, so there is no opportunity for engaging the patron (person viewing the layout). It's impossible to enter the world created inside this small space. It's tiny and confined, so it is easy to dismiss. Adding windows on the sides or dropping the sides attempts to address the problem, but it compromises on integrity of the layout or sturdiness of the table. There's still that railroad-under-glass feeling too. Fortunately, some crafty modelers have found a solution. Their N-scale layout is a computer-controlled m-arvel, but that is not the best part. At 1:50 in the video below, the entire layout except the background rises out of the table's chest and allows full eye-level viewing! The coffee table layout stops being a toy or a curiosity and becomes an immersive world that all true layouts aspire to be. Even in a Christmas afterglow, it was impossible for me not to seek out a price tag listing for the layout. Apparently it's not for sale, much to my wallet's relief. Still, I would wager they've received an offer or two for the one they have made.